Dr. Douglas A. Granger is a psychoneuroendocrinology researcher who is well known for his development of methods related to saliva collection and analysis and the theoretical and statistical integration of salivary measures into developmental research. At University of California, Irvine, he is Chancellor’s Professor in the Departments of Psychology and Social Behavior, Pediatrics, and Program in Public Health. He also holds Adjunct Faculty positions at Johns Hopkins University in the School of Nursing, School of Medicine, and Bloomberg School of Public Health. 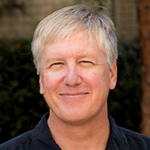 His studies have been instrumental in the conceptualization and analysis of biosocial relationships involving child well-being, parent-child and family relationships, as well as how these biosocial links moderate and mediate the effects of early adversity and stress on children’s adjustment. Dr. Granger is a leading expert engaged in work focused on the discovery, measurement, and application of analytes (e.g., enzymes, hormones, antibodies, chemicals, cytokines) in saliva. He has published more than 250 studies and is also a faculty scholar-entrepreneur. While at Penn State University, Dr. Granger transferred technology and founded Salimetrics LLC*, a salivary laboratory and product development company, and while at Johns Hopkins University transferred technology and founded SalivaBio LLC*, a saliva collection device company. At University of California, Irvine, he has created and serves as the Director of the Institute for Interdisciplinary Salivary Bioscience Research (IISBR). *In the interest of full disclosure, Dr. Granger is founder and Chief Scientific and Strategy Advisor of Salimetrics LLC (Carlsbad, CA) and SalivaBio LLC (Baltimore, MD), and this relationship is managed by the policies of the committees on conflict of interest at University of California, Irvine and the Johns Hopkins University School of Medicine.